I was so fortunate to collaborate with such design savvy clients on this lighting design. Their home renovation of a 70's gem is such a triumph that the lighting is perfect jewellery in a beautifully styled home. We started with a home that had seen better days but had fantastic bones. 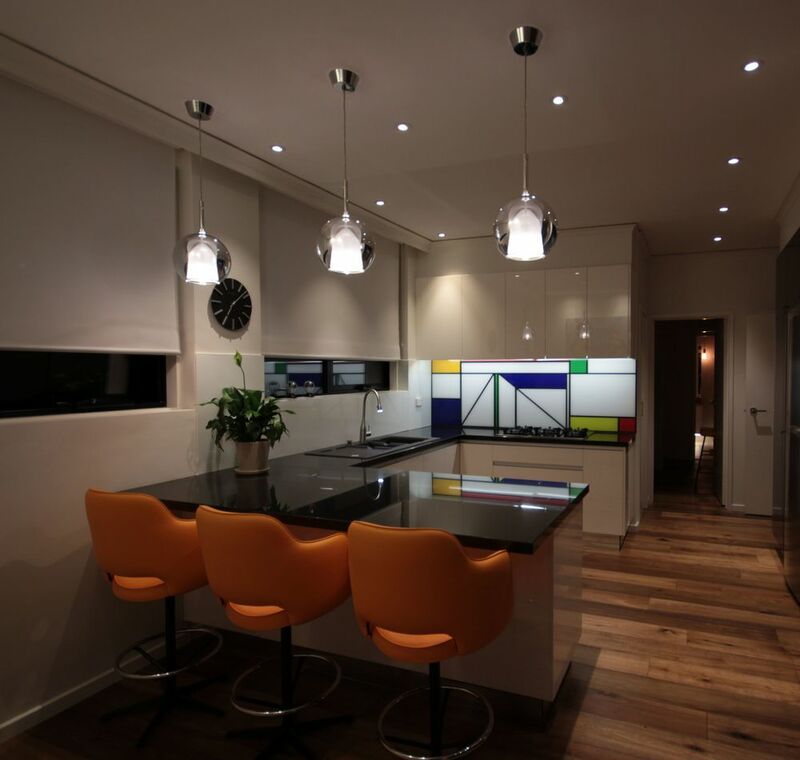 The clients had an ambition renovation plan, and simply needed some professional lighting advice to make the most of their budget and their time. Focusing on energy efficient lighting that produces both functional and decorative light, we walked through the half demolished home, discussing features and critical elements to the design. Briefing on site like this can be an absolute blast - some of the original tiling, especially the yellow background mushroom tiles we spotted on the way through were absolute gems of their era. The resulting design is simple, with clean lines and uses feature pendants to bring light, life and scale to the larger rooms. Strategic placement of the lighting enabled us to use fewer fittings, but ensure that the light required was where it is needed. Feature artworks are illuminated with wall washing downlights, making them stand out from the surrounding area, whilst still providing light into the room. Inspiration was taken from 5 star hotels with lighting incorporated into the window sheers, used alone at night, these lights define the rooms making them comfortable and conducive to relaxed conversation. Great lighting doesn't just happen when you find the right showroom, it's about finding the best products available and then using them judiciously to get the best results in your home.